Licensed To – Minos-EMI S.A. Please listen to the original recording by Depeche Mode before moving on with this one. This album is pure fun. They are not trying to do it better than DM, proven by the sticker saying "Please listen to the original recording by Depeche Mode before moving on with this one." I have yet to meet anyone who has heard this record say anything but wonderful things. It has modern production techniques, its not over compressed, and the did a great job by using some of the same analog hardware synthesizers that DM used on the original album. Pre-club, house party album for sure! As long as people know of the source, Marsheaux won't do the original album that much harm. Depeche themselves may seem tired a band these days, but at least they remain unique with their legacy and recycling it. Of course, it is everyone's desire - and human right - to do cover versions of someone else's songs, or in this case - the entire album, but in case of Depeche Mode, most cover versions (official or fan-alike, and there's tons of them out there, the equivalent of plastic littering the seas) prove useless at mere mention, let alone hearing them. 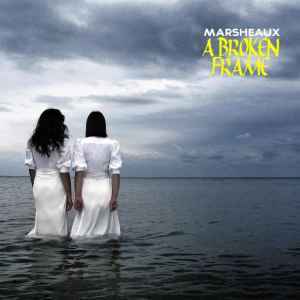 As for Marsheaux, it may seem a brave idea, but sadly I don't hear anything truly challenging in their version of "A Broken Frame" (or any other DM cover they did so far). Just a second-rate Client-imitating duo, doing a very bad restoration job on someone else's painting. The end result: a lifeless, generic auto-pilot pretending this is the new "1982" and they're the "real thing". Sorry Marsheaux, no can do - that was then, this is now. And now, this is not fun. An interesting and brave idea from Marsheaux to go the whole way and not just cover one Depeche Mode song (as they did brilliantly very early in their career with New Life), but an entire album. A Broken Frame is (no matter what people say) not the worst Depeche Mode album. But it is far from the best. Understandably, Marsheaux could only really make a full cover album from either this or Speak & Spell, but I would have thought they could have had better results from the aforementioned debut album than this follow up. Don't get me wrong, I'm not too disappointed with their choice, but I am a little disappointed with the actual production. As weird as it may sound, this cover album sounds too synthetic. It lacks the analogue warmth of the DM original, and it actually lacks the warmth of Marsheaux's own material. The synths sound too clean, the production sounds too polished. I really can't put my finger on it! Having said that, this album is definitely worth buying. Marsheaux bring very interesting diversions to tracks such as The Meaning Of Love & Photograph Of You (which have been dramatically slowed down), as well as straight up faithful covers such as My Secret Garden & Leave In Silence. I was quite amused when I heard Nothing To Fear, as that is a track which I had hoped Rex The Dog would remix for over 10 years now. He never did, but now Marsheaux produce a remix which basically gives the same results! So yeah. It's a fun album, but probably more for Marsheaux fans than Depeche Mode die-hards who will find it a very love/hate listen.